Internet technology will never replace personal face-to-face interactions. That’s my personal belief, in any case. Clicktivism has become a concern of many of us over time. It has manifested itself as a tendency for people to replace actual direct action, civil disobedience, person-to-person organizing, and other civic duties such as participating in the electoral process at all levels (and techniques), with “supporting the cause” through “likes, shares, and posts”. Clicktivism probably isn’t going away; it likely will only evolve further into “phone-based, alternate reality and augmented reality alternatives” as discussed by Micah White in a Guardian article. Micah’s primary concern with clicktivism is that it embraces the ideology of marketing and “an inordinate faith in the power of metrics to quantify success”. Javier Flaim summarized similar concerns which Malcolm Gladwell expressed in a 2010 New Yorker article: “[Clicktivism] minimizes people's perception of activism to a mere click, giving people a shallow sense of participation with no incentive to take further action”. 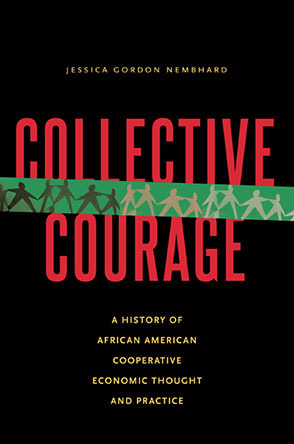 Gladwell went on to analyze the 1960 Woolworth’s civil rights sit-in and the 1964 Summer of Freedom in his article, and came to the conclusion that what really mattered in getting people actively engaged was deep, sincere, and real personal connection (read as friendship), and involved people who were “committed, articulate supporters of the goals and values”. Many of the the more recent examples we have seen about how Twitter and Facebook have catalyzed social change relate to short-term actions and events, exciting and organizing people for protest or other direct action, such as was seen during the Arab Spring. After the fact analysis, however, often decries the actual effect that social media played, or clarifies that it didn’t create the end result but only helped to spread information and raise expectations. Social media acted in a supporting role to revolution. These results, drawing on the examples of the Arab Spring, are among many that can be considered as positives extrapolated from clicktivism, also including accountability, resilience and adaptability in low-risk situations, or even a platform for conversation in places with extended censorship or dictatorial regimes. And what of the actual face-to-face interactions that resulted from all this digital discourse? Our goal as Green Party organizers may perhaps be best summed up as long-term party-building. We aren’t faced with a violent uprising, and many of us are dedicatedly convinced that true change will only come from systemic change, which likely won’t be from an armed insurgency, but through political action and democratic victories. Using specialized tools that integrate with social media are therefore the next organizing evolution: infrastructure that can expand reach and communications, widely share platforms and stories, and result in “kitchen table to campaign office relationships”. Working with the NationBuilder “community organizing system” software, our local Green Party of Onondaga County, acting out of Syracuse, NY, was able to grow our volunteer base in 2013 to a significant high over previous years of 58 active participants throughout the triple campaign management for a common council position, Mayor, and school board seat. We relied on social media as strongly as anyone else for outreach and bulk communications, but we hope our Nationbuilder integration allowed us to begin the development of one new important reality - a people-powered detour between clicktivism and slacktivism, to activism. We can’t sit idly by while social media continues to nebulously swirl people around us. The reality is that clicktivism on social media sites doesn’t have to be a dead-end, but only a beginning. Integrating the Hawkins for Council, Bott for Mayor, and Humphrey for School Board Facebook pages with our NationBuilder database created synergies that grew to flow into volunteer recruitment and management, phone banking, and street canvassing that is the heart of each actual electoral campaign. If our goal is to transfer clicks to actual volunteers and activists, it only makes sense that we go to where they are online (such as Facebook) to find them. And this goal only continues to make sense if we can rely on our database identification and communication tools for organizing our volunteer, event, and campaigning outreach. So a direct connection between a Facebook post “like” and a NationBuilder prospect - or a Facebook event page RSVP and a website event RSVP hosted by NationBuilder, is literally only a click away. How does this actually work in real life and time? NationBuilder accounts connect to your organization’s (party, committee, campaign, etc.) Facebook account from within the NationBuilder Control Panel. The Control Panel is the behind-the-scenes website from which you can manage your public website, voter database, communications such as email and voicemail, and finances which include your NationBuilder costs as well as incoming donations. Someone who clicks “like” on one of your campaign’s facebook page posts (or retweets your Twitter post) is then automatically imported into the NationBuilder database as a “prospect” - these are people who, in a political campaign, would be considered potential voters. Similarly, Facebook and NationBuilder event pages work synergistically with each other. Once you have connected the event pages between the two platforms, they become one-and-the-same event. Anyone who RSVPs at the Facebook event page gets imported as an RSVP in the NationBuilder system, as well. Platforms such as NationBuilder provide a streamlined and efficient tool for campaign teams. We all know that time is something we can’t manufacture more of, but how we use that time is of utmost consideration. Facebook posts, for instance, can be submitted directly through the NationBuilder Control Panel with no need to change windows or tabs. Event management and RSVPs are done internally with no need for another account and another password for a separate event planning website such as Meetup. Donation pages can be set up in any manner of ways, and finances tracked without the need to access an additional portal such as PayPal. And the ease of providing administrator access as one of a number of Permission Levels including Admin, Leader, Staffer, or Intern allows centralized information management and organization within a single website platform, from anywhere in the world that team members are located. We can’t sit idly by while social media continues to nebulously swirl people around us. We can’t let current technology flitter by us in favor of tradition, and we can’t think that change is not inevitable with regards to organizing tools and techniques. Just as progressives have now wholeheartedly embraced and utilized video for documenting, publicizing, and storytelling -- effectively wrenching one of the most valuable modern technological tools out from being solely in the hands of the mainstream -- it’s now time to wrench social media into our own realm of organizing and creating relationships in order to create a new cadre of the “committed and articulate,” as Gladwell summarized. Frank Cetera is a NY State Certified Business Advisor with the Onondaga Small Business Development Center at Onondaga Community College. Frank advises the public in entrepreneurial endeavors, start-up mechanics, and business planning. Due to personal experience with living in housing cooperatives such as Bread And Roses, and The Bitternut Homestead Urban Collective, being a member and volunteer at the local Syracuse Real Food Co-op, and being Board President of Cooperative Federal Credit Union, Frank's goal is to integrate the solidarity economy into the general business mainstream discussions and services provided by state and federal service providers such as the SBDC and SBA.